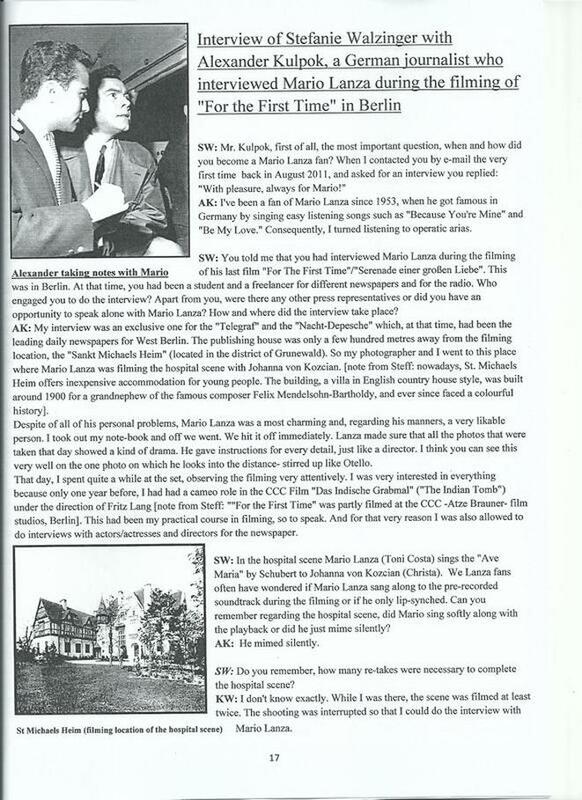 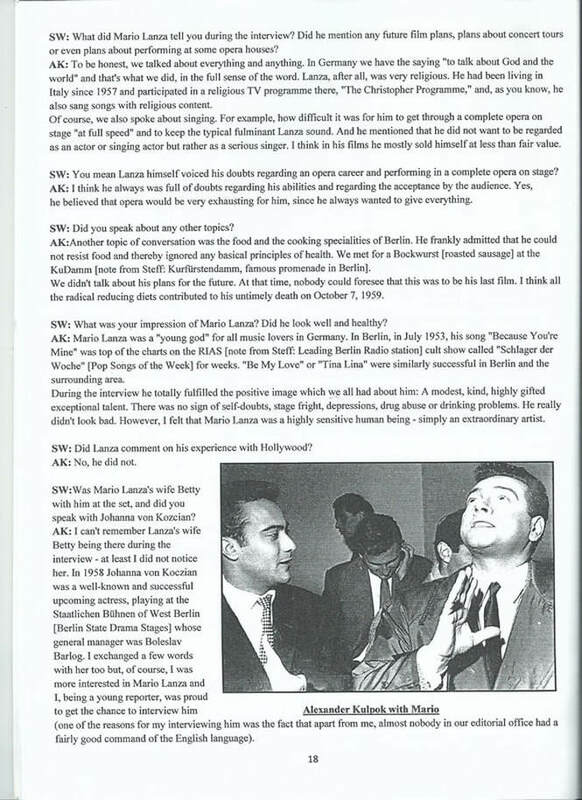 In November 1958, young German student and freelance reporter Alexander Kulpok interviewed Mario Lanza for the [then] West Berlin newspapers, Telegraf and Nacht-Depesche. 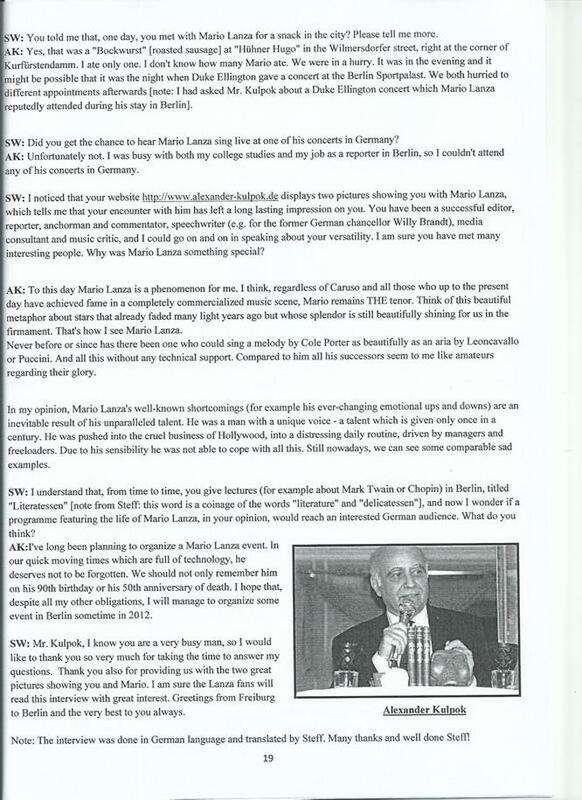 His meeting with the artist took place on the set of Lanza's final film, "For the First Time." In an email interview with Stefanie Walzinger, Kulpok reminisced about that day and his memories of Lanza, "a modest, kind, highly gifted, exceptional talent...simply an extraordinary artist."